1. It had video games in it. I LOVE those! 2. It had board games in it. I LOVE those, TOO! 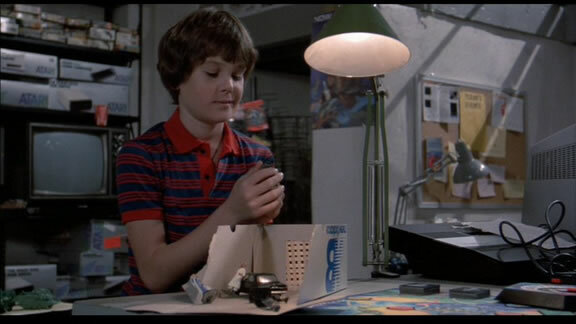 The plot focused on Henry Thomas’s character, Davey Osbourne. 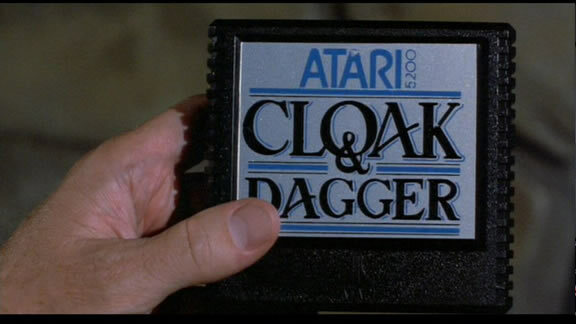 Davey loves spy stuff, especially a board game named Cloak & Dagger. 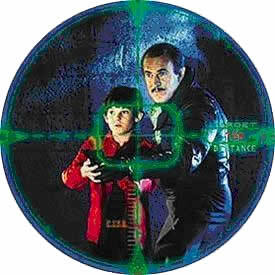 The object of this board game is to take control of the hero (named Jack Flack) and complete top secret spy missions. The gameplay of the board game resembles Dungeons & Dragons, only with spies. It looks like a pretty fun board game, except that I know I would be fighting to control Jack Flack, as it seems whoever controls him wins, no matter what. He be bad! Here is a picture of the board game. See what I mean about the D&D look of it? Davey imagines Jack Flack looks like his father, played by Dabney Coleman. Davey wishes his father was more like Jack Flack, a spy hero. Instead, his father works for the Air Force and thinks his son plays too many computer games. Davey’s mom died not too long ago, and he has had some trouble adjusting, retreating into his imagination and hanging out at a video game store at San Antonio. 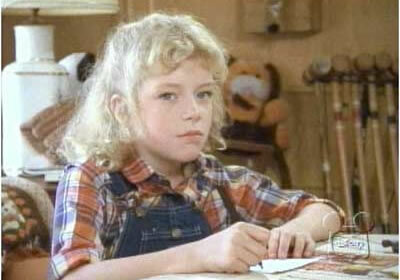 Don’t you want to smack her? No? Just me? 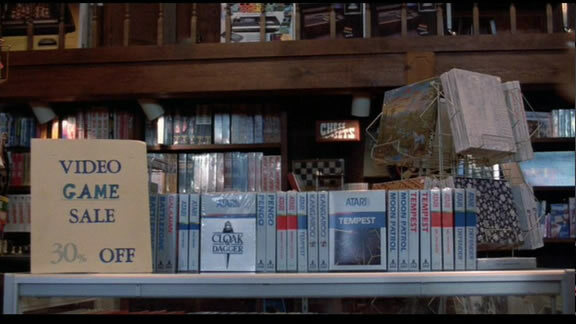 Anyway, Davey and Kim spend an inordinate amount of time at a video game store in the mall. This movie is worth watching if for no other reason than to check out the variety of video games for sale as well as video game posers on the walls. Hey! E.T. is featured on the poster! Read more about this great game here. No, he is NOT a child molester. Davey gets drawn into an actual secret spy mission, as he witness a spy being murdered, but as he dies he gives Davey a video game. 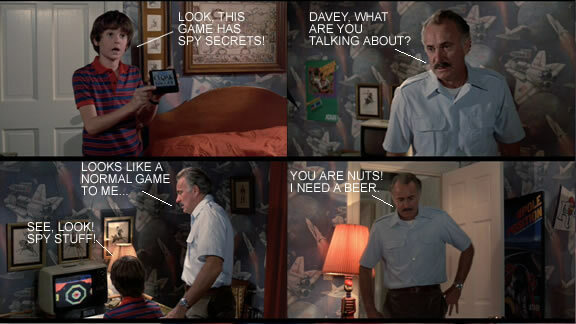 Little does Davey know, there are government secrets embedded in a video game. Only by beating the last level are the secrets revealed. Which game? Look no further than the title of the movie. Pretty exciting stuff for a kid growing up in the 80's. Kids today just have to worry about bullying, online predators, and whether they will need identity theft insurance by the time they turn eighteen. Yes, you’re eyes aren’t failing you. That is an Atari 5200 cartridge. Atari put the system out as an attempt to compete with the Intellivsion and Colecovision, but the system failed to meet expectations. Davey tries to confide in his father about these fantastic events, but his father doesn't believe him. 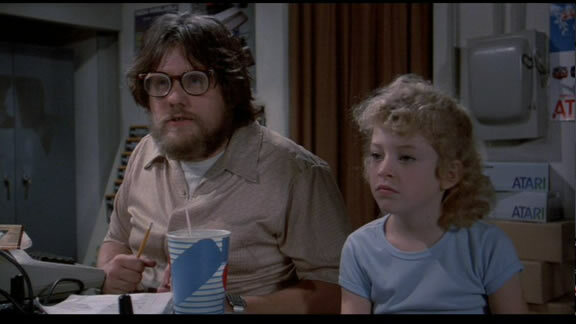 I won't continue (wouldn't want to ruin this great movie), but there are great scenes of inappropriate firing of guns by kids, kidnapping, deformed hands, and overall cheesy 80's goodness. Add this gem to your Netflix queue. You will not be disappointed. 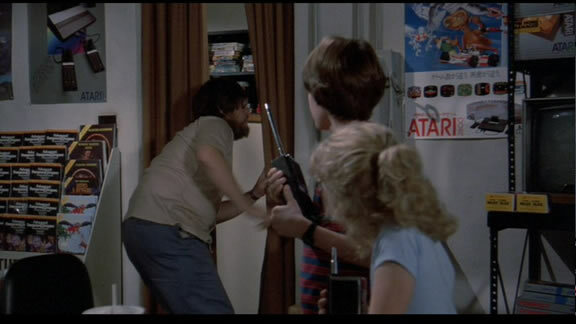 Thanks to the Atari Age Forum for the excellent screen shtos of this movie.